Today is your last chance to share your feedback and help us shape our roadmap for 2014. Plus, we’ve upgraded our documentation and app review guidelines, as well as added a new feature to Airspace. From giant vibrating strings that explode into light and sound to grainy music you can create with your fingers, we’re also exploring the edge of art and music on Developer Labs. Also new this week, the top 10 LEAP AXLR8R teams, three Leap Motion-integrated robot libraries, a new kind of restaurant dining experience, and rebelling against the very fabric of time. To subscribe to our developer newsletter and get updates through email, click here. What would you like to see in 2014? We’ve heard from lots of developers about how we can make improvements and further evolve our platform. If you haven’t shared your feedback yet, please take a few minutes before the survey closes. Recently, we overhauled our app review guidelines to reflect how we evolved in 2013. 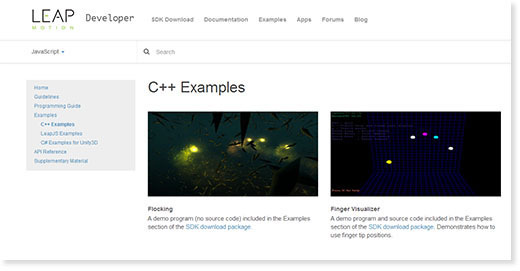 Based on your feedback, we’ve also upgraded our documentation to make it more accessible than ever – including a code language selector, streamlined search, and more examples. Plus, we’ve added online docs for Objective-C. Imagine being able to reach out and tweak virtual strings with your hands to create massive waves of light and sound. Last year, that idea became a reality with Resortes – an interactive installation manipulated in real-time through the hand gestures of participants. Today’s software instruments sound incredibly lifelike, but our interactions with these “electronic sounds” are often limited by computer interfaces. Lamtharn Hantrakul explores how we can make our interactions with electronic sounds feel more direct and intuitive. From robots and smart LEDs to everything in between, we’d love to know – what would you leap? Let us know #WWYL @LeapMotionDev. 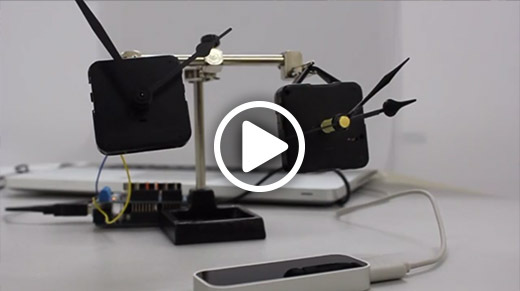 What if you could control your Leap Motion-enabled robot over a network? 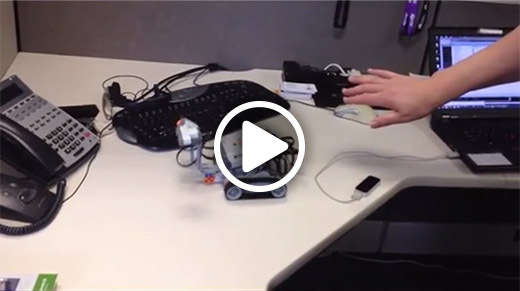 Using Java, rtirip created a platform-independent, remotely operated LabVIEW robot that can be controlled from a second laptop over Bluetooth. Bill, please. To reduce friction at the end of your dining experience, Cynergy created a 3D-printed gesture box with an Arduino and Leap Motion Controller. Instead of waving frantically, just swipe your hand over the box to signal that you’re ready for the bill. Turn back time. James Miller created this motion-controlled clock to rebel at how we never have enough time. What would you leap? From discussions about gesture recognition for sign language to the possibilities of recording a chess game, you can always spark your own #WWYL conversation on the community forums.